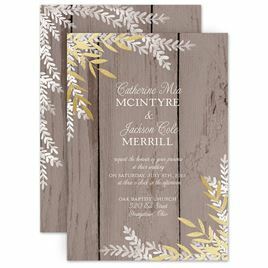 You might think of white wedding invitations as being more traditional or maybe even formal, but the variety of designs and styles available for you to choose from is surprising. You can find simple wedding invites or more elaborate invitations all available in just white or white with a splash of color. Shop the huge selection available here at Invitations by Dawn and we're certain you'll find a perfect fit for your celebration. Not confident in your color choice? Order a free sample so you can see the color and feel the quality. Be sure to view all of our wedding stationery. 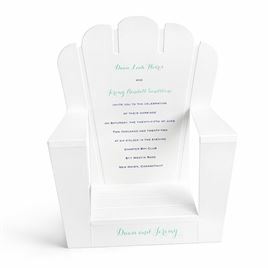 You will find bridal shower invitations, save the dates, wedding programs and all the pieces you need for your white wedding invitation ensemble.